Don’t let the bucolic fields of pink and white almond blossoms, abundant fruit orchards and twisty vineyards fool you, there’s a gory, bloody side to Northern Portugal. Here is where you’ll find extreme snout to tail eating, where winter pig slaughters are a time for families to bond, to roll up their sleeves and hand-wash guts, sort through lard and season blood for sausages smoked over piles of eucalyptus branches somewhere in their garage. If you’re a pig, this is your Rob Zombie nightmare! If you’re an adventurous foodie, it’s absolute paradise, and worthy of getting on a plane and come experience it! That said, for offal averse among you, rest assured you’re in good hands. The Douro Valley contains plenty of “tame food” as well, from perfectly charred and juicy grilled meats to simple, hearty stews. There’s ample amounts for you to choose from! 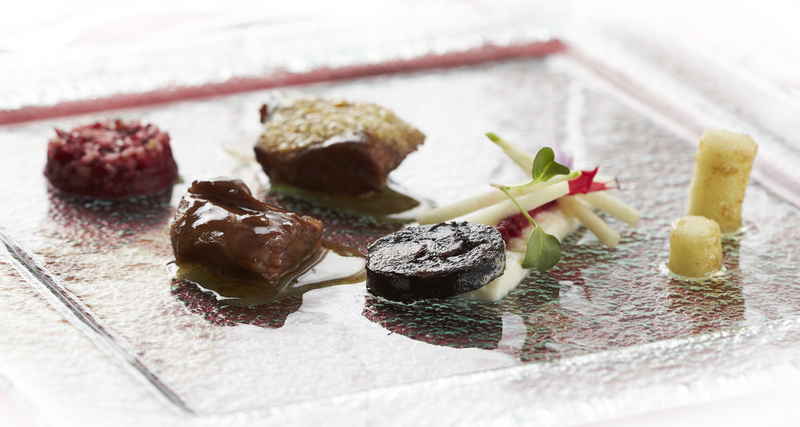 ( photo by PortoBay Hotels & Resorts) Below you’ll find the extreme foods of northern Portugal you can’t miss, as well as some fantastic wines to go with them. Enjoy! Suggested Pairing: You’re going to want something bold to stand up to this dish! Seek out a Douro red. Predominately made from a mono-cast or blend of the famous Touriga Nacional, along with Tinta Roriz (Tempranillo in Spain) and Touriga Franca (or Touriga Francesa) among many others, these are robust, full-bodied and tend to be more earthy with hints of mushroom and barnyard aromas compared to the fruitier southern reds of Portugal, but can also exhibit some rich dark red fruit flavors as well. Check out the Crasto 2012 or Quinta do Noval Cerdo do Noval 2004. Suggested Pairing: When thinking of Portuguese wine, or northern wine for that matter, it’s rare that a bright and effervescent sparkler comes to mind, but they should. Espumantes are the perfect pairing for rich, salty foods foods that need a few bubbles to clean the palate. Check out the Murganheira Bruto or Vértice Cuvée Reserva. “So, honey, what’s for lunch?” Peering at you over her shoulder, she smiles and replies, “Why, bladder, of course.” What…isn’t that how your lunch conversations typically go? “A Bexiga” is pig’s bladder stuffed with boneless ribs, garlic, onion, bread, rye flour, pig’s blood, wine, orange juice, black pepper and paprika. This Northern delicacy is boiled and served with greens. Suggested Pairing: Though not a wine to drink on its own, Vinhão is a lovely, rustic red that contains just enough acidity to pair beautifully with dense and flavorful stews. Check out Afros Vinhão 2009 or 2012. Ah nothing like a soup to settle your stomach … How about a lardy broth? Traditionally, “Água de Unto” (Lard Water) was eaten at breakfast time by field workers who needed the strength to face a long day’s work. The “Unto” (Lard) is melted in a skillet and then dripped into a pot of salted boiling water. 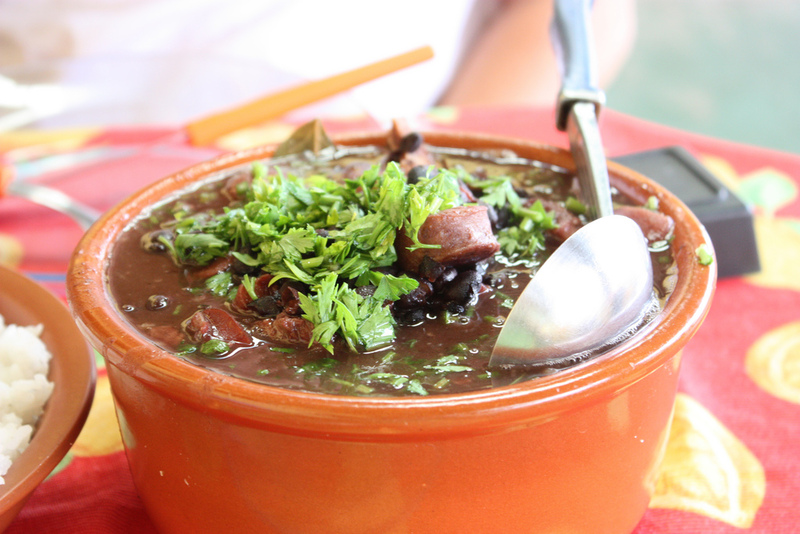 The broth is poured into bowls with chunks of “Pão Mistura” (corn and rye bread) and eggs are poached atop each serving. Suggested Pairing: Vinho Verde! Though famed as the easy-drinking, inexpensive fizzy wine of the north, there are some serious white wines made in Vinho Verde (a region as well as a wine) as well. These tend to be dry, slightly austure and minerally, with notes of citrus and stone fruit with great aging potential. Check out a Anselmo Mendes Vinhos, Contacto 2013 or Soalheiro Primeiras Vinhas 2010. Suggested Pairing: In the remote north east of Portugal, Trás-os-Montes is wild, high country, its soils poor and unproductive, granitic with odd patches of schist. Here the reds tend to be fresh, lively and fruit forward – a lovely pairing for a full on pig adventure! Check out Vale Pardinhos whose reds are a match made in heaven. If you’re cholesterol levels weren’t already hitting their upper limits by this point, just wait until you try Torresmos, a northern delicasy made of pig skin and fat….period. Cut into small, bite-sized pieces and deep-fried to the point of crunchy, it’s served either with beans or as a garnish to mix and match with the rest of the meal. Suggested Pairing: What I’m about to say is going to freak you out, so bear with me – White Port. And in this case, I’m not talking about a seriously cloying and sweet Lagrimas, I’m talking about a 10 year old White that has tamed its viscosity to obtain a slightly austere, gorgeous finish. For fried, rich foods, this is a slightly unconventional, but fab pairing! Check out the 10 year White Port from Neipoort or a 10 year from Andresen White Port. And to think, we’ve only tackled pork here! 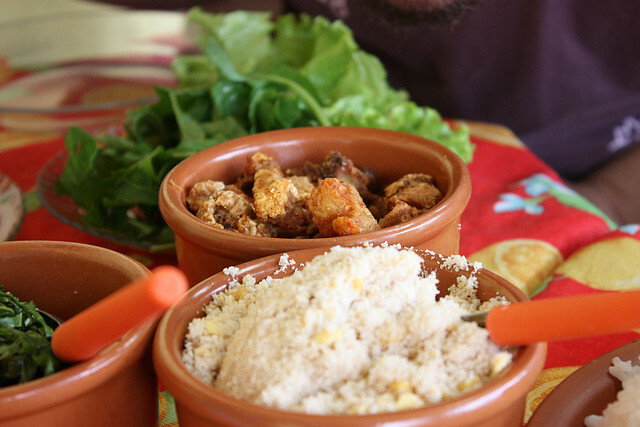 The possibilities for food adventures in Portugal are endless. 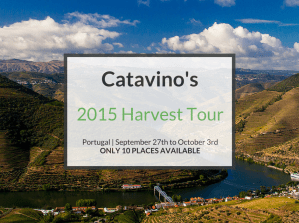 If you’re interested in diving into a full on food and wine experience, then check out our newly released Harvest Tour of northern Portugal taking place this September! It’s not only a great way to taste through the diverse flavors of northern Portuguese cuisine, but get your feet purple with ripe, juicy grapes just waiting to settle and age into a world renowned wine. There’s a reason why Douro and Vinho Verde wines consistently rate at the top of wine lists internationally. Why not come and experience it for yourself?! Huge thank you to contributing writer Sonia Nolasco for cowriting this article. I couldn’t have done the blood and guts without you.